Click here to check out my new blog called Green Forward. The blog examines bipartisan, common sense solutions to global climate disruption, environmental conservation, renewable energy security and the transition to a sustainable economy. I will no longer be blogging at Green SoCal. Thanks for reading about California's clean economy. Where Does Our Electricity Come From? 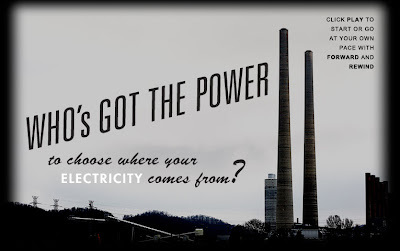 The Union of Concerned Scientists has put together an online interactive quiz about where our electricity comes from. The answers might surprise you. Hint: A lot of states (especially in the Southeast) are importing a lot of dirty coal from Wyoming and exporting a lot of their clean, renewable energy sources like woody biomass to Europe. Find out for yourself by clicking this link to take the quiz. Check out this trailer for "Carbon Nation: A Climate Change Solutions Movie (That Doesn't Even Care If You Believe in Climate Change)." 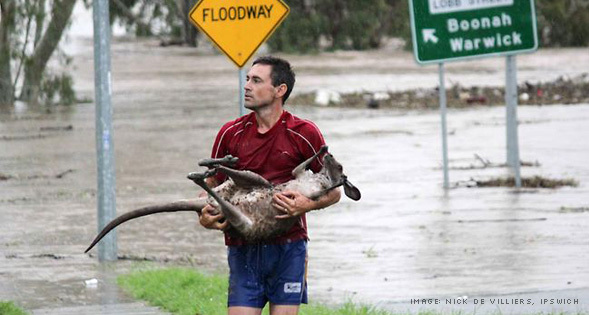 Queensland, Australia: The worst flooding in the last 35 years has devastated both human and animal alike. 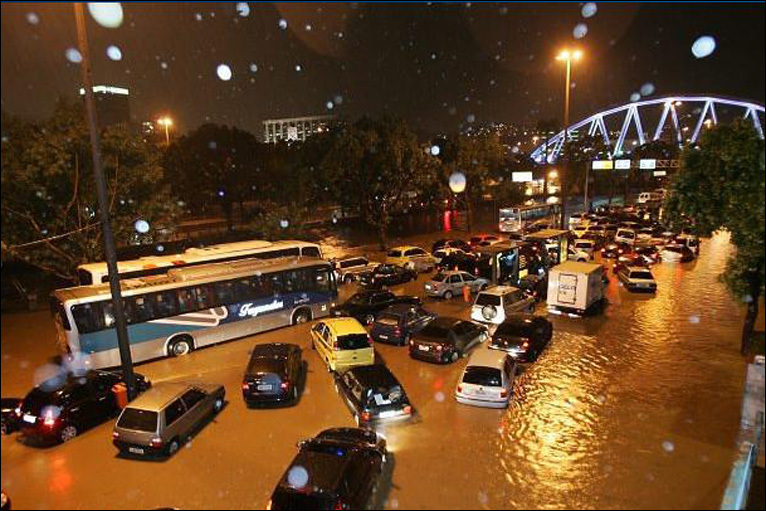 Rio de Janeiro, Brazil: The strongest rains in 30 years have killed 81 people, causing the government to declare a state of emergency. 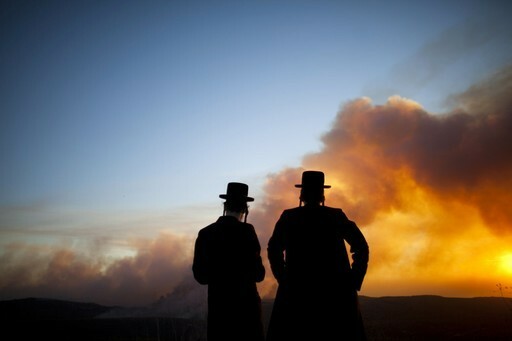 Carmel, Israel: Orthodox Jews watch the massive forest fire that claimed 44 lives, making it the deadliest in Israeli history. 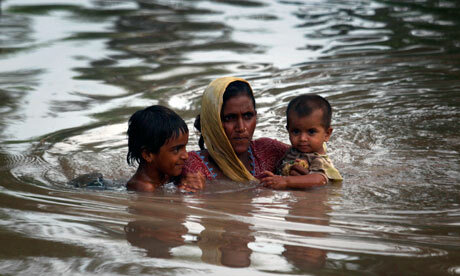 Pakistan: Heavy monsoon rains flooded one-fifth of Pakistan's land area, killed close to 2,000 and affected 20 million people. 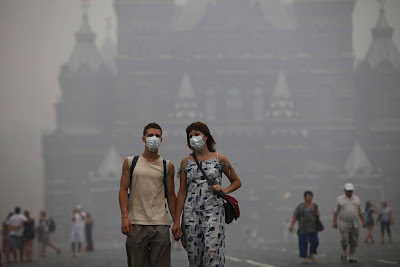 Moscow, Russia: Record heat and drought created massive wildfires that brought heavy smog to cities, killing an estimated 56,000 people. 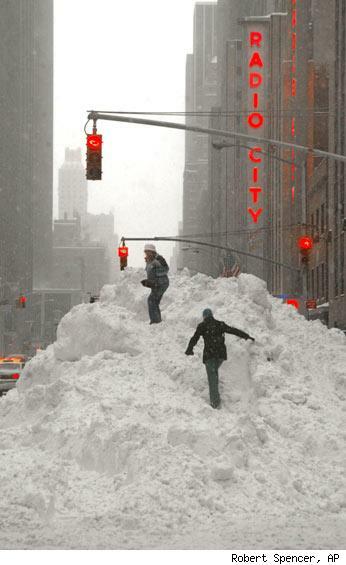 New York, New York: The December 2010 blizzard dumped 20 inches of snow on Central Park and was the sixth largest recorded snow storm in NYC history. Angelenos can breathe easier, literally, after the Los Angeles County Metropolitan Transit Agency retires its last diesel bus on Wednesday. In doing so, it will become the only fleet in the country to run 100% on alternative fuels, in this case natural gas. 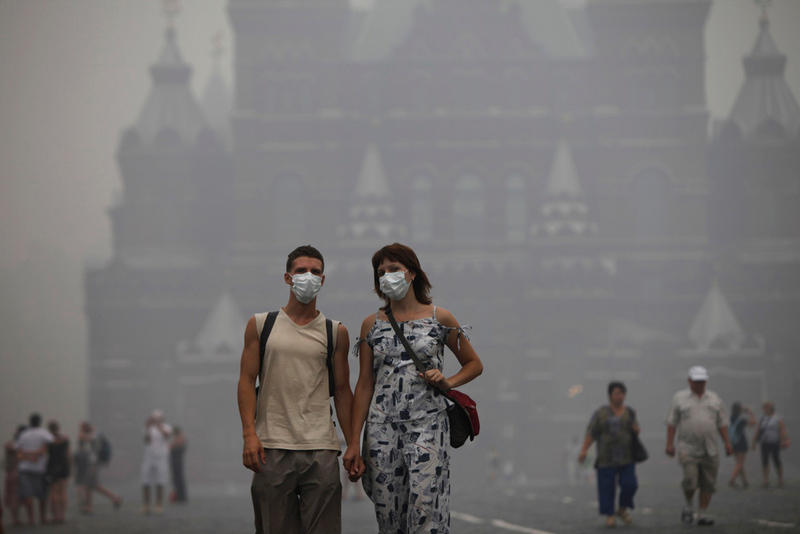 Click here for the L.A. Times story on how the transit agency is working to cut emissions of cancer-causing pollution. As a follow up to my investigative piece on the safety of Smart Meters, a new report released today confirms my findings that Smart Meters pose no health risks to the public. In the report, the California Council on Science and Technology states that the intensity of the radiation from Smart Meters falls well within federal limits for wireless devices. Click here for a link to the San Francisco Chronicle story on the report. Click here for a link to download the full report on the health impacts of Smart Meters. Click here for my original story on Smart Meters and Radiofrequency (RF) radiation. On each visit to New York City I always make a pilgrimage to the sacred ground of The World Trade Center site where terrorists changed the world on that fateful September morning a little over nine years ago. And each time I visit I come away disappointed at the lack of progress in rebuilding this massive graveyard where over 3,000 innocent souls lost their lives at the hands of a few misguided mad men. Why, I would ask myself, can New York build two new baseball stadiums and one new football stadium but let Ground Zero fall victim to politics and economics. But this time was different. I visited NYC a couple of weeks ago and was amazed at the rapid pace of progress in lower Manhattan. One World Trade Center (formally called Freedom Tower) is already halfway to the top at 52 levels. When finished, it will be the tallest building in the United States. The PATH train station is up and running, carrying thousands of commuters every day from WTC to New Jersey and back. And the 9/11 Memorial should be finished in time for the 10th anniversary dedication this September 11th.